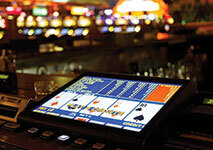 Video poker has become one of the most played casino games by far as it is extremely exciting and entertaining. Nowadays, the game is very widespread and it can be found in almost every casino. Even though the original poker game can be traced back to the 17th century, video poker can be defined as a moderately modern invention. However, it is worth noting that video poker is not as new as online gaming as it emerged much earlier. Its history didn’t begin with the first ever-made poker machine as before it was invented, a number of important events also took place. When it comes to history of video poker, the evolution of the slots also plays a crucial role as both games are based on the same principle. William Redd or most commonly known under the name of Si Redd, is a key figure in the video poker history as he has greatly contributed to the video poker we know today. He is often described as one of the most innovative people in the gaming world as he takes credit for having completely transformed the classic poker machines. Back in 1975, he founded SIRCOMA, a company which was renamed a year later as IGT /International Game Technology/, in attempt to create the most exciting video poker machine. Mr Redd had always had a passion for games and before he had come up with the idea to develop video poker, he had worked in the gaming industry for a considerable time. Thanks to his desire to be innovative and different, he managed to create a video poker machine that later on became one of the best inventions in the gaming industry. It is believed that the video poker machines were introduced in many brick and mortar casinos around the 1970s. In brief, the video poker machines highly resembled the slot ones, with the difference that instead of the well-known symbols, they utilised cards. Besides the slot machines, another important factor that had also greatly contributed to the increasing popularity of video poker was the personal computer. The reason why was that the video slot machines consisted of two parts, a television screen and a computer chip. Initially, when the first machine was invented, it had many flaws and it was rather primitive, if we were to compare it with the cutting-edge devices in use today. 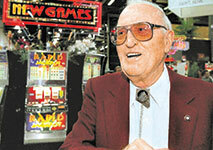 It all started in 1970, when Dale Electronics created the first device for playing video poker. This unique machine became known as PokerMatic and as already mentioned it didn’t gain in popularity much as it required more work in order to appeal to players. However, its basics set the beginning of the evolution of the video poker machines as this foundation has greatly contributed to the exciting game we know today. 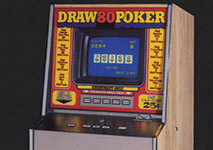 One of the notable years for video poker was 1979 when SIRCOMA came up with a new DrawPoker machine. This invention was a new type of poker machine that appealed to a huge number of players. It offered them new opportunities and experience which made it worthy of a try. Many players considered this machine to be more credible than the rest of the available devices of this type, produced at that time. During the 1980’s, both slots and video poker became the favourite games to a number of players. The reason why, so many enjoyed playing video poker, was that it was a combination of both skills and luck. At that time, on the one hand, the games that required a strategy and a lot of knowledge would rather put off most of the players as they seemed too complicated. On the other hand, the games that were entirely based on luck didn’t also quite appeal to many gamblers as they could do nothing to improve their chances of winning. Video poker turned out to be the perfect game as it was the happy medium between luck and strategy. The game offered gamblers the chance to get thrilled by putting their skills to the test and trying their luck. In 1994, Microgaming, a leading software provider, introduced the first online casino into the world of gaming. This innovation had a huge impact on the development of the video poker in the online gambling industry as it completely transformed the boring and plain online games into exciting and entertaining ones. Thanks to this software development company, a number of video poker games that had new themes, fresh design, texture and color, have emerged. Their outstanding quality and flash animation enabled players to feel a high level of excitement and suspense from playing video poker at the comfort of their home. When it comes to video poker games, Microgaming have undoubtedly played a crucial role as it made them even more enticing. Many players began playing video poker games and as a result, they became very well accepted in various parts of the world. Nowadays, a number of online casinos have teamed up with this prominent software provider in attempt to provide players with high-quality online games, including video poker. Most of the online casinos also offer free applications which can be downloaded easily from some of the popular app stores. Thanks to them, it is possible to play video poker with better quality and graphics and enjoy it even on the move. Whenever players bump into an online casino that cooperates with Microgaming, in most cases, they will be able to experience the classic video poker as well as some of its exciting variations online. The Internet as well as the online casinos made it possible for a number of exciting games to be played online. 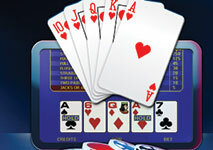 Video poker is no exception as nowadays, its virtual version can be found in almost every online casino. It is no surprise that video poker was a game whose online version was moderately easy to create as it already resembled to a huge extent an online game due to the computer elements it featured. Not long after video poker was introduced online, it gained in popularity and it became one of the casino classics of all time. The online version appealed to many players worldwide as it offered them a number of advantages. Thanks to the online video poker, it was possible to play multiple hands at once and win money from home. It was no longer necessary to find a way to deal with all the noise and distractions in brick and mortar casinos. Players, living in remote areas, didn’t have to travel long distances in order to enjoy video poker. It became extremely easy to play this game as no boundaries existed when it came to location and time. Video poker was taken to the next level which enabled casino enthusiasts to experience the game in a very different way. Nowadays, a number of poker enthusiasts have the chance to enjoy it from various parts of the world. It has never been so accessible and effortless to get a high level of entertainment online by playing either the classic video poker or some of its exciting variations online. Thanks to the cutting-edge technologies that have emerged, players have the opportunity to experience video poker that has outstanding quality and graphics. They can also win big by playing some of the video poker games that feature progressive jackpots. Moreover, every reputable online casino offers a number of reliable payment options which enable players to make deposits instantly and securely. The available video poker games today fascinate with their huge diversity and outstanding quality. Many of the online casinos offer a number of interesting variations which feature exciting bonuses and deals. There is a video poker game for every personal taste and preferences. However, prior to playing a new version, players should always take their time to consider the additional rules and the house edge. Besides these important factors, the payout percentage is also another crucial aspect which shouldn’t be neglected. Players have the chance to experience a number of variations and try out some of the different modes “full play” or “part play”. Throughout the years, the rules of the game have also undergone some major changes. For instance, the Nevada regulation, which initially used a single pack of 52 cards, has now been developed to cater various decks of cards. One of the reasons why this countermeasure was imposed was to fight the so-called “reverse engineering” mechanism that is used in attempt to predict hidden cards. Video poker has become one of the most played online games and as such, its evolution and development will undoubtedly continue in the near future. When video poker was first released, it didn’t seem like it had a glamorous future. However, throughout the years a number of improvements took place which made the game highly appealing to a number of gamblers. The evolution of video poker is closely connected to the history of slots as both games have the same basics. The history of video poker draws the attention of many avid players as the game had some interesting twists. Nowadays, it is possible to play video poker not only online but also on most mobile devices and experience it in a very unique way virtually.